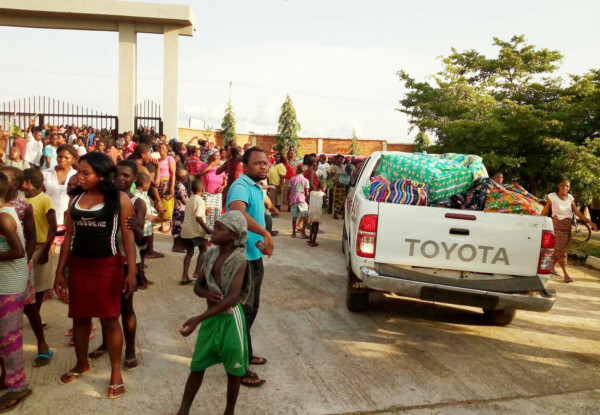 Thousands of Internally Displaced Persons (IDPs) being accommodated at the International Market Camp, Makurdi, Benue State capital, after the flood that ravaged the state, on Tuesday protested alleged diversion of relief materials by camp officials. 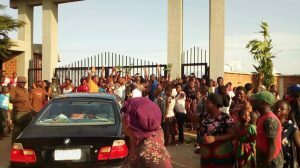 The protest, according to NAN report, started when a truck, 2 Hilux vans, a bus and a saloon car loaded with relief materials from the camp warehouse, were about to drive out of the camp. A newsman, who was at the camp, reports that the protesters overpowered the security guards at the camp, and blocked the camp entrance to prevent the vehicles from moving out with the materials. The irate flood victims sang songs which accused camp officials of diverting relief materials and abandoning them to die of hunger. Efforts to confirm where the items were being taken proved abortive as the drivers of the vehicles and their team members, refused to speak. A cross section of the IDPs said that they had not given any food items “for the past three days”. James Tarkende, an IDP, said the IDPs had been left while the materials were being loaded to unknown destinations. “In this camp, only a few people sleep on mattresses, but we are not complaining. We are suffering, but because of the situation at hand, we understand with the government. But the camp officials have gone too far this time. Another person displaced by the flood, Judith Audu, said that the officials were treating them like slaves. When contacted, Commissioner for Water Resources and Environment, Joseph Utsev, who is a member of the committee on flood, said that government would investigate the incident. 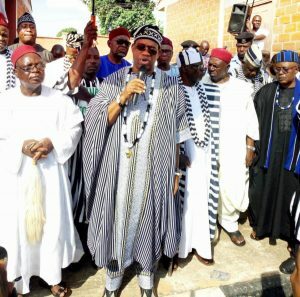 The Benue Government had, on Monday, removed the camp manager over allegations of irregularities.